More than a decade ago I was calculating the nutrition for a meal plan when vitamin D kept coming up short. This happened even with the inclusion of milk so I started to look into it. And what I found was really striking. 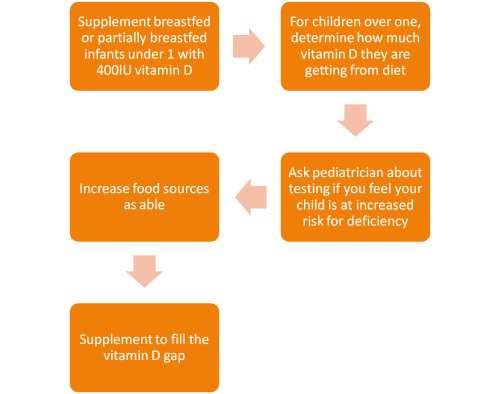 Every parent should understand the impact vitamin D has on kids’ health from pre-conception all the way to adulthood. So let’s dig in. Vitamin D helps the body maintain the right balance of calcium and phosphorus. Without adequate vitamin D, not enough calcium is deposited into bones to keep them strong and healthy. This is why vitamin D deficiency can result in bone diseases like rickets, osteomalacia (softening of the bone), and osteoporosis in adults. Sadly, rickets occurred for a long period of time, claiming young lives, before vitamin D’s discovery in the 20th century. But vitamin D isn’t just about bone health anymore. 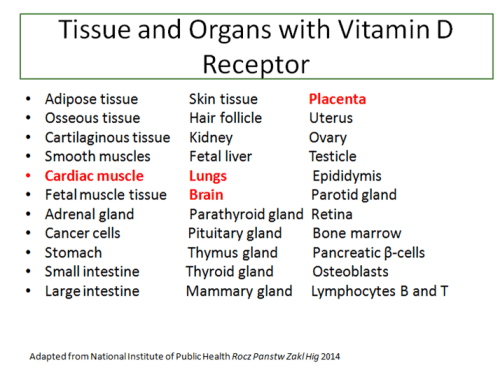 Several years ago researchers discovered that most body cells have a receptor for vitamin D (outlined below), meaning they require vitamin D to function properly. Low vitamin D has been linked to various diseases like diabetes, heart disease, adverse pregnancy outcomes, autoimmune diseases, and certain cancers. Vitamin D is also related to brain health. For example, studies show children with ADHD and autism have lower blood levels of vitamin D compared to those who don’t. In one review, depression was found to be more than two times more likely in vitamin D deficient people. None of this means inadequate vitamin D causes these health issues (besides the bone diseases) but it does play a role. And while the exact role isn’t entirely clear, what is clear is families need to be sure they are getting enough vitamin D to keep their blood levels at an acceptable range. One of the confusing parts of vitamin D deficiency is the lack of consensus on optimal blood levels. The Institute of Medicine recommends a baseline target of at 20ng/ml (that’s nanograms per milliliter) for bone health while the Endocrine Society’s cut off is 30ng/ml (and some groups higher than that). A recent review points to ideal levels of at least 30ng/ml to benefit from positive health outcomes. So how are kids doing? Let’s start at the very beginning. In a sample of low-risk pregnant women, it was found that 30% had sufficient levels (>30 ng/ml), 47% were insufficient (20-29 ng/ml) and 22% were deficient (<20 ng/ml). At 4 months of age, 40% of un-supplemented breastfed babies were considered deficient. According to one study, approximately 10% of US children aged 6-18 years have vitamin D levels below 16 ng/ml. Another study found that as many as 61% have insufficient vitamin D levels (15-29ng/ml). Rickets, while still rare, has been on the upswing in the last several years. It’s likely due to higher rates of breastfeeding with poor supplementation, more time spent indoors and sunscreen use. The AAP recommends breastfed babies be supplemented with 400IU after birth but the US is lagging behind other countries. According to a study in Public Health Nutrition, between 60 and 80% of infants in Europe are supplemented while 71% of breastfed infants in Canada are. But only 2% of infants in the USA and Australia receive vitamin D supplementation. For infants under one, the recommended amount of vitamin D is 400IU and for older children and adults its 600IU. This jumps to 800IU at age 65. But if someone becomes deficient, higher amounts are needed to increase and maintain blood levels. Some worry about getting too much of vitamin D because it is a fat-soluble vitamin but toxicity is rare. 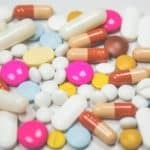 Vitamin D may become toxic starting at blood levels of 200ng/ml and we know most children and adults aren’t even at 30. Unless under the supervision of a doctor, its best not to exceed the safe upper limit set by the IOM: 1000IU for infants up to 6 months old, 1500IU for infants 6-12 months old, 3000IU for children 4 to 8 years old and 4000IU for those 9 years and older. 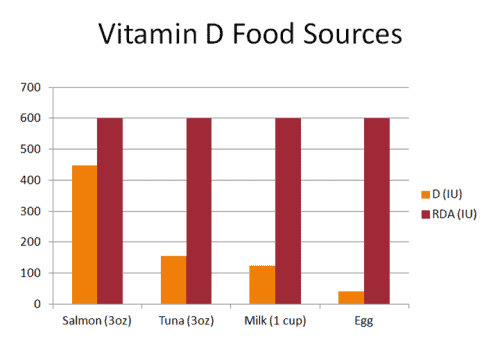 The chart below shows key food sources of vitamin D. Not included is infant formula which is fortified with vitamin D, breast milk which contains 35IU per liter and fortified foods that have a range of vitamin D per serving (see this link for complete list). 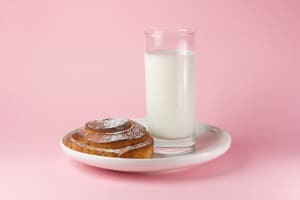 It would take about 4 ounces of salmon (every day), 11 ounces of tuna, 6 glasses of milk and 12 eggs to meet the 600IU recommendations using food. What about the sun? Well if you follow recommendations to prevent skin cancer, you will wear sunscreen that blocks out much of the UV rays. But doing so 100% of the time is hotly debated as some experts believe regular sunshine without burning (15 minutes max) 2-3 times per week is beneficial. Here’s where it gets tricky. Certain individuals are limited in how much vitamin D they make from the sun including those who carry extra weight, have dark skin, use sunscreen or cover up, and those who live in Northern or highly polluted climates and are over 50. The time of the year (and day) also matters, as UV ray exposure is highest from April to October between the hours of 11 am and 3 pm. So even with regular sun exposure, there’s no guarantee it’s keeping vitamin D levels up year round. With what we currently know, its just makes sense to supplement with vitamin D when the diet falls short. The figure below can help you decide what is right for your child. What’ the best vitamin D supplement? As for supplements, vitamin D3 is typically recommended and what you will find in most supplements. I love Carlson’s drops and use them with my children. Instead of the 400IU I used their first year, I now use the 1000IU drops about 5 times a week. Me and the hubs take about 2000IU daily to keep our levels above 30ng/ml and get lab work done at annual physicals. In the summer, I supplement less due to increased sun exposure. Is any of this new to you? 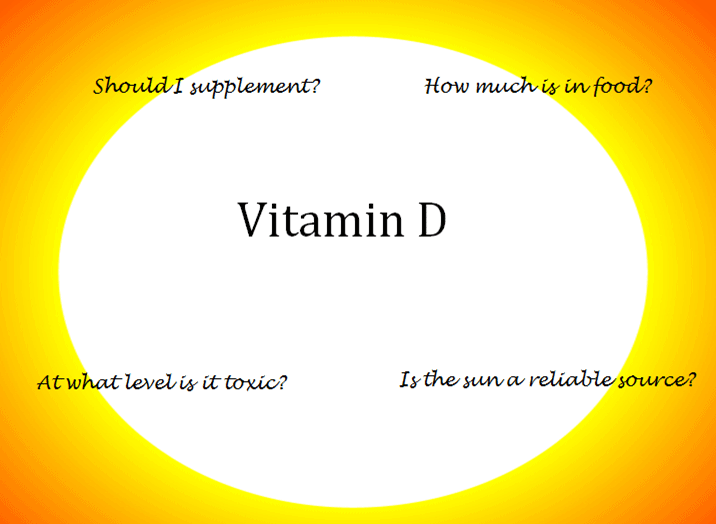 Does your family take vitamin D supplements? Let’s talk about it in the comments. Our endo. Doctor put our 7 year old son on supplement. We discovered his thyroid and vit. d was messed up. He is a picky eater but drinks his milk. He loves to play outside. We were surprised to learn all the things that Vit. D helps control. His levels are now in the normal range. Do you remember what his blood levels were? Before the supplements his levels were at 20.9. I can’t find the current record. He has been on it for 6 months. My own levels were insufficient last year and the only advice from my doctor was to “spend more time in the sun” and I have had skin cancer in the past. It has been difficult for me to find trusted advice and information about this. I have been supplementing but not enough. I have been wanting to find a good supplement for my kids as well. Thank you for doing the research and sharing it! This is such a great subject! I discovered I was very low after I had my twins and was having bouts of PPD. My doctor decided to check my hormone levels and vitamin levels. She immediately put me on Vit D 10,000iu pills EVERY day. We rechecked my levels in a month and I was still low. It is amazing to me how it affects me every day. My kids get supplemented and they were supplemented when I was breastfeeding. I’m a true believer that it is essential to supplement with this vitamin. Thanks for another great post! Thanks Merri Ann. Glad you found resolution! The US Preventative Services Task Force says here that “There is adequate evidence that treatment of asymptomatic vitamin D deficiency has no benefit on cancer, diabetes, mortality, or even on fracture risk in persons not at high risk of fracture”. I understand that treating vitamin D deficiency doesn’t not resolve problems. I mention epidemiological studies that we know do not prove cause and effect. But prevention is another matter. Making sure you start pregnancy off with good levels and supplement where gaps exists makes sense given all we know. I, too, only suggest kids at high risk be screened as said in this task force. But if you are getting labs done for a physical, getting D checked makes sense to me. It has helped me figure out how much to supplement. My daughters levels were pretty low and it really affected her. She was weak all the time and her immunity was very low. I took this supplement http://www.amztk.com/junior-d3 and her levels went up really nicely! Its the best! 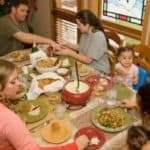 Found this site trying to research IU to give for weight and age, based on Vitamin D levels. Trying to research more about the D Lux vitamin D spray. This would be best for us travelling, and actually getting the kids to use it etc…. I have also found the spray is “suppose” to be more effective getting into the system than pills. I am a MT (ASCP) and a SAHM who manages rental properties currently. Background on us is we all have low vitamin D levels. Time spent in the sun or dietary changes has not increased levels, Fast forward to 1 week ago, we found out the middle child has Ehlers Danlos Type III. As you know with your background and education this is a connective tissue disorder. It is genetic and all kids have it from myself. I have gone my whole lifetime with this diagnosis missed. Doctor wants to give 1000IU to the 8 year old (70lbs) once a day. I prefer 2000IU based on level:26. Oldest (13 year old, 127lbs) and myself 42 (130lbs) takes 2000IU and it doesn’t seem to be helping. Just ask for her to be tested. If her levels are low they will recommend supplements. Have you bought it up before?